This circuit is convert BTL or OCL power amplifier input output signal signal, you can change BTL or OCL for your power amplifier, its useful for your power amplifier circuit. 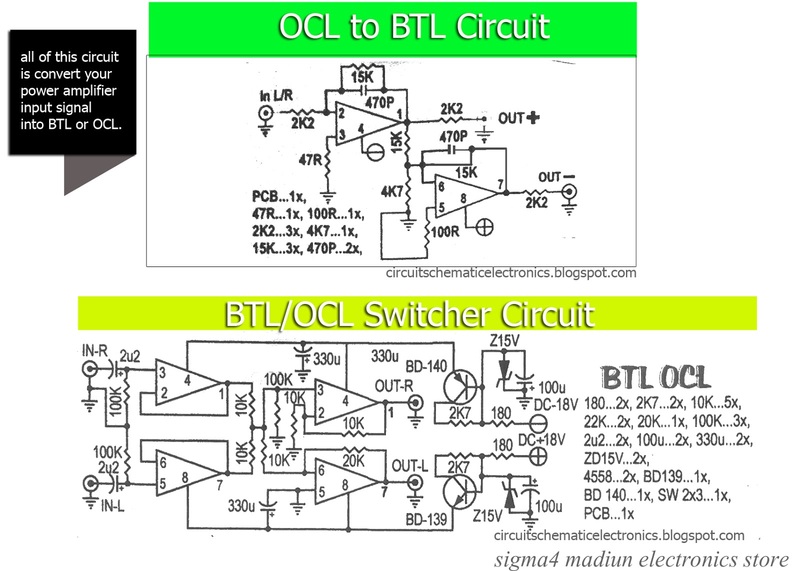 This OCL or BTL are basically on IC 4558 op-amp. 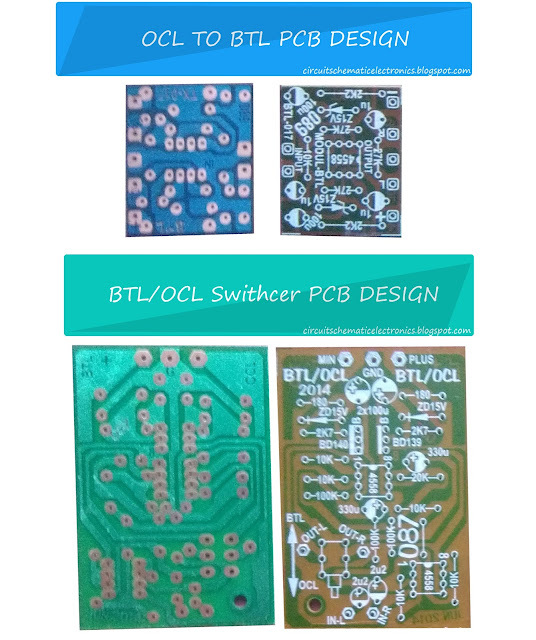 This circuit include PCB design. To set up this circuit you can add before input output audio signal to amplifier input.